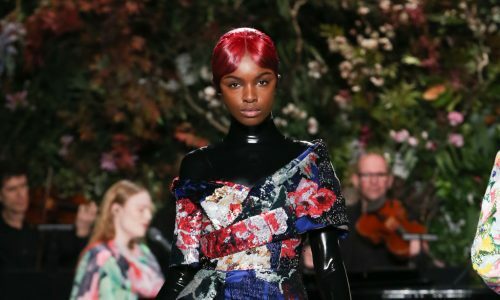 Upon entering Malan Breton’s SS18 catwalk show, entitled “Fantome”, we are met by climactic music which foreshadows what is to come. 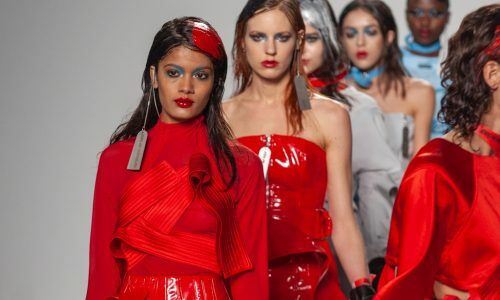 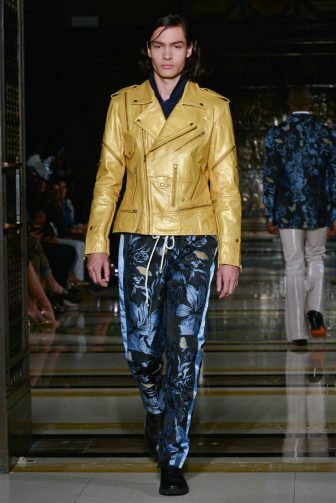 A powerful colour palette of pearl, yellow, black, blue and red perfectly merges together to create a strong series of looks across both gender categories. 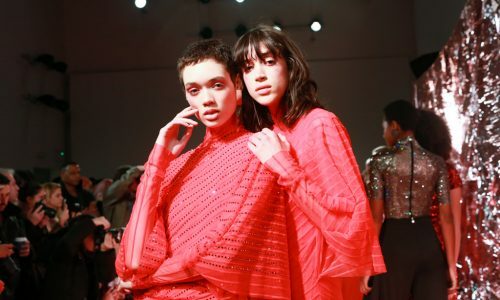 For women, a shimmering pearlescent fabric can be seen in a multitude of the pieces, perfectly encapsulating Breton’s ghostly inspiration for the season. 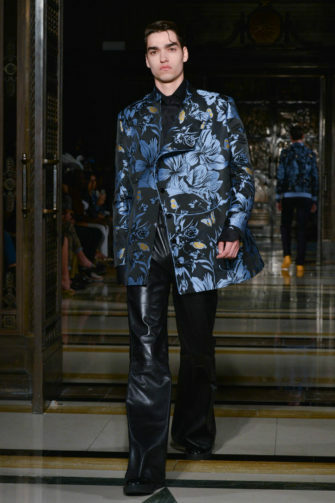 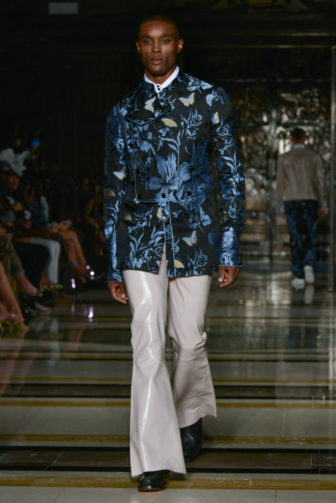 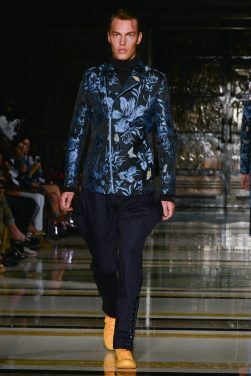 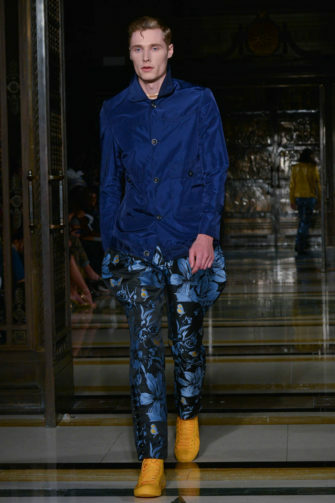 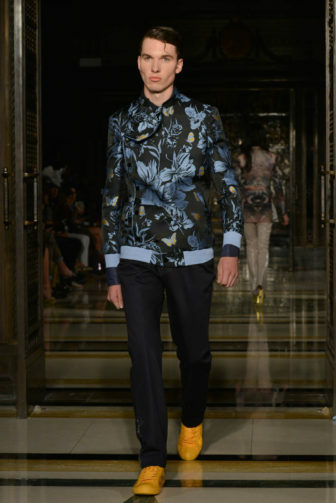 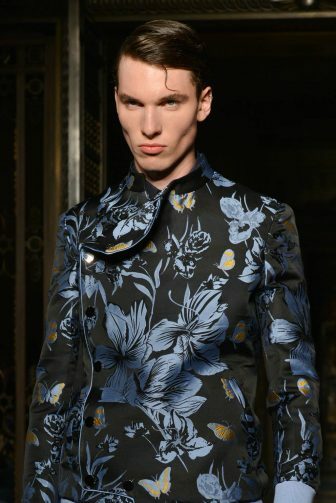 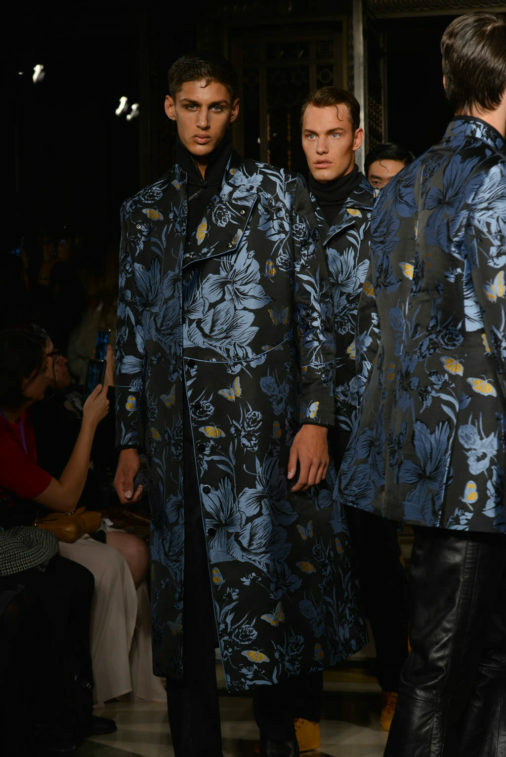 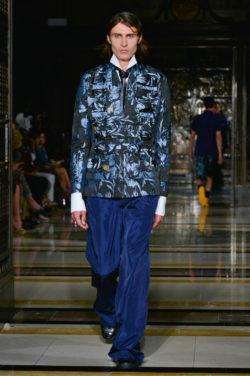 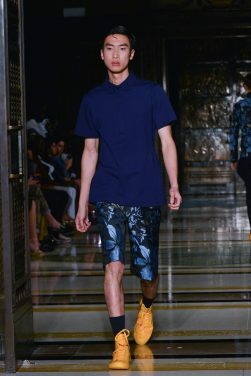 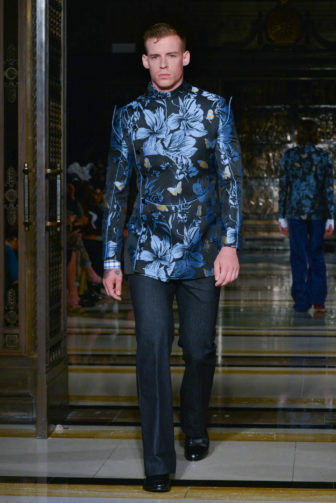 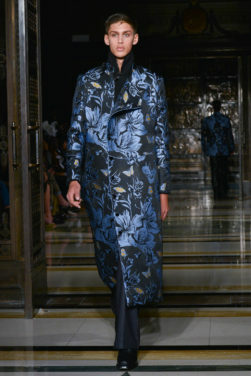 For men, a dual blue toned hibiscus flower and butterfly print in a metallic finish is the key fabric, and is repeated in multiple shapes such as calf length overcoats and sharp blazers. 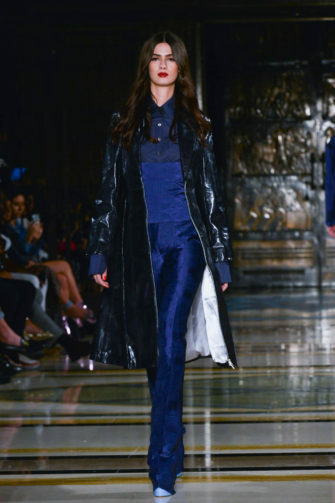 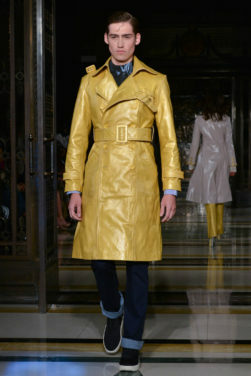 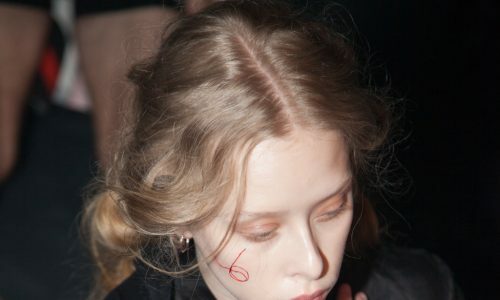 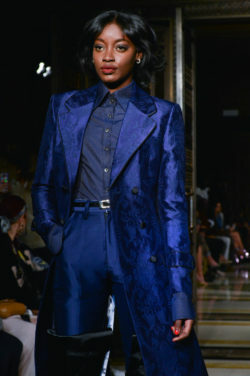 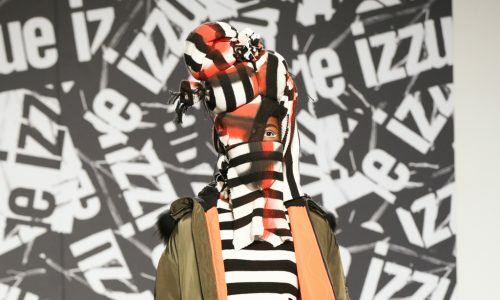 Power dressing is a key trend shown, with trenches and tailored pieces exhibited throughout. 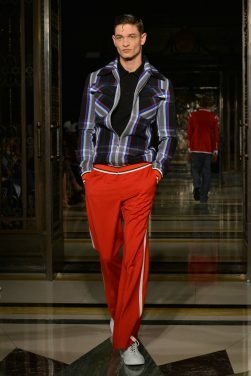 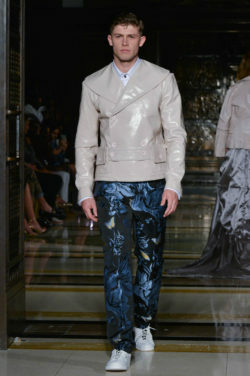 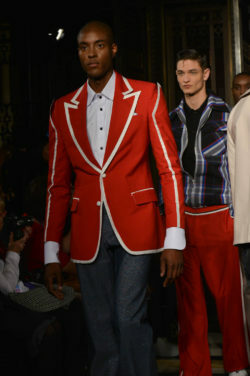 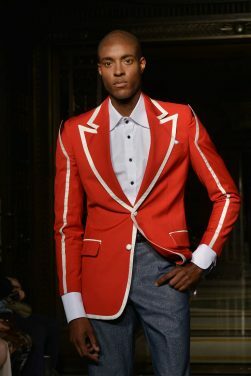 Double breasted jackets are paired with flared trousers for men, altering the traditional take on men’s smart wear. 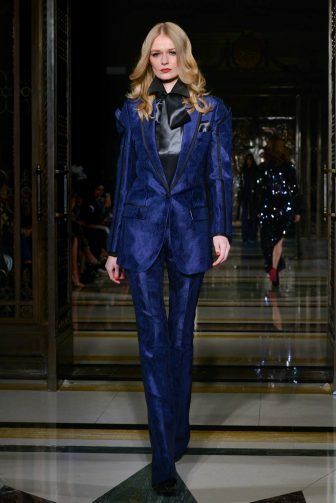 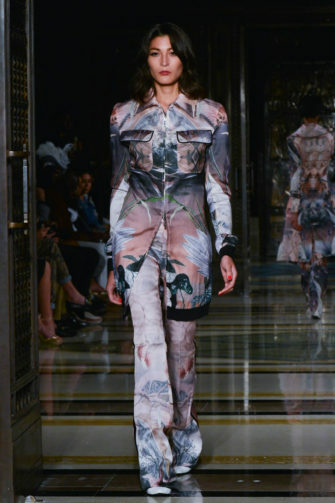 Blazers are used in conjunction with evening dresses which provide a paradoxical view of the silhouette. 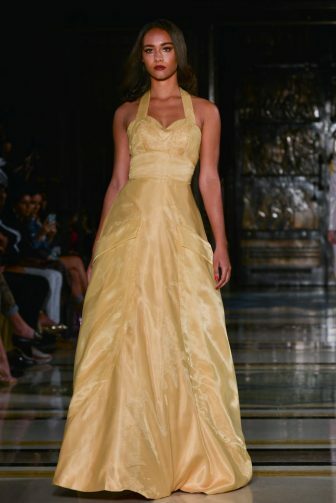 The standout look was in this style; a fitted black jacket in a finish resembling oil, paired with a black voluminous crinoline skirts with multiple layers of ruffles and a final touch of a bright yellow underskirt peeking out from beneath. 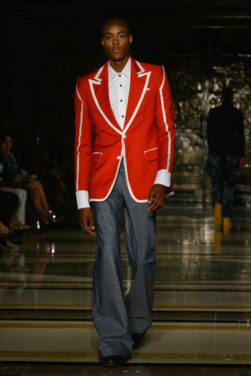 In terms of colour, this was very simple, however the combination of various elements made it a head turner. 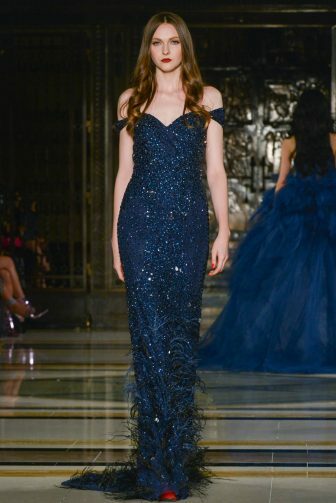 Formalwear is made all the more decadent with fishtail and floor length hemlines, off the shoulder detailing and sweetheart necklines. 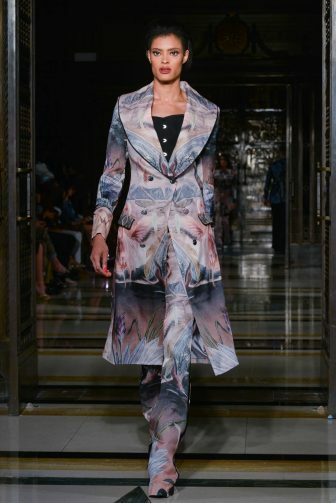 A glittered pattern in shades of grey and silver is evocative of snakeskin and is used sparingly as a final touch as if it has been brushed on. 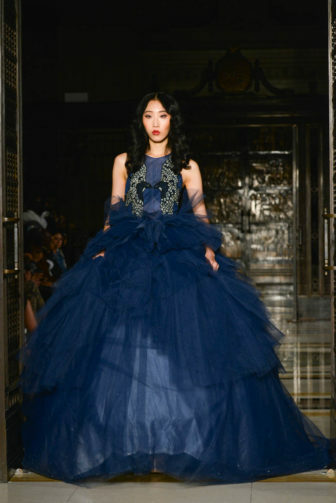 Delicate touches of ruffles, organza and feathers move delicately with the models and are reminiscent of a translucent form. 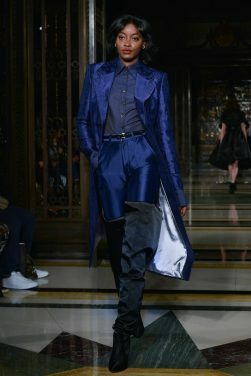 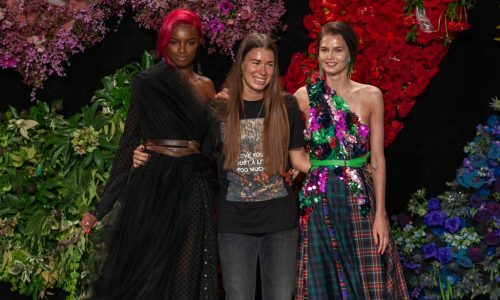 Overall, Malan Breton presents a strong collection which builds on a supernatural theme with complimenting accents of colour, shape and texture creating a dazzling display of power and strength.